Recently my article about Barot, a small town in Himachal Pradesh, was published in Times of India, Jammu. The pictures in the article were clicked by my friend VJ Sharma. Tucked away in the remote recesses of the Mandi District of Himachal Pradesh, lies the tiny town of Barot. To a large extent untouched by tourism, the town offers a peaceful getaway to travellers, away from the hustle-bustle of daily life. 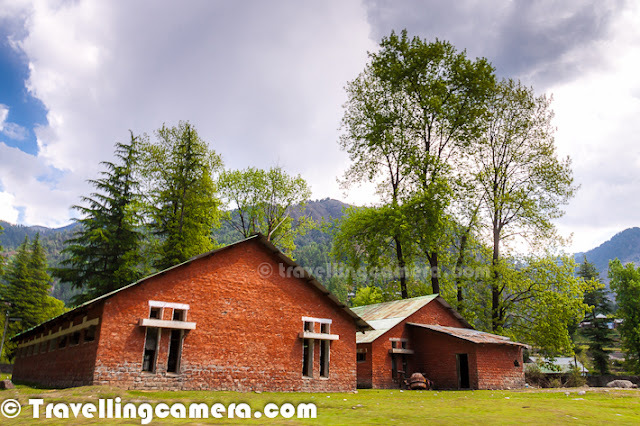 Surrounded by century-old, tall deodars, Barot is a time capsule and visiting Barot is like taking a peek into the bygone era when human beings still knew how to live in peace with their surroundings and with nature. The river Uhl runs through the town twisting its way amongst boulders and polishing pebbles till they glitter like silver and gold, and birds of all colours and sizes sing their various songs while flitting in and out of sight. 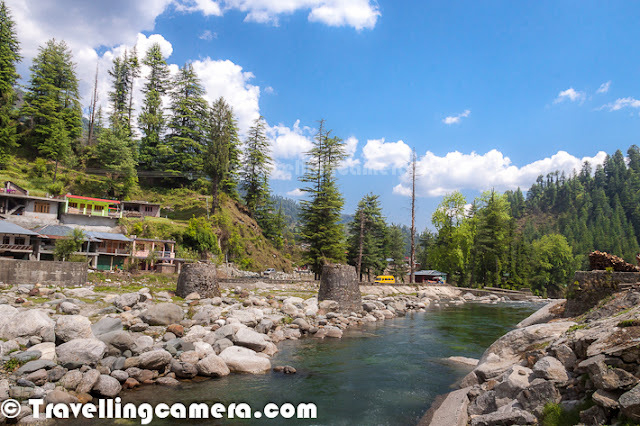 On the surface, Barot appears to be a sleepy village with women chasing hens and chicks to put them away for the night and folks dressed in traditional attire chatting away in the afternoon sun. But you just have to walk a few metres to come upon the Uhl Water Reservoir or the trout farm, which are not only symbols of progress but also underline the intertwining of a traditional way of life with modern thinking. Several homestays and guest houses offer affordable yet comfortable lodging and also provide you with a chance to interact with the ever-smiling and pleasant local people. The town experiences very cold winters and often receives snowfall during the winter months. Days in summers are cool while the nights can get very cold so carrying light woolens even during peak summers is advisable. The road that connects Barot and Jogindernagar is more-or-less in good condition with the exception of a few rough patches, but the route is very scenic, offering distraction from the bumpy ride. Even though Barot may not exactly be on the tourist circle or, for that matter, even easily accessible, but for those who want to let their hair down, the town is a good travel option.